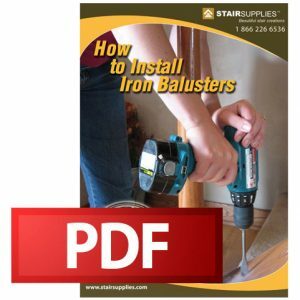 The above products are recommended for installation or mounting of the 16.8.1 Straight Round Iron Baluster. Spheres Series Iron Balusters bring life to the phrase, “Less is more.” When you use Spheres Series Iron Balusters, you’ll have simple, elegant spheres at the center of your railing. In addition, the balusters’ round, 5/8″ frames require no shoes as you can drill a hole to fit their design. 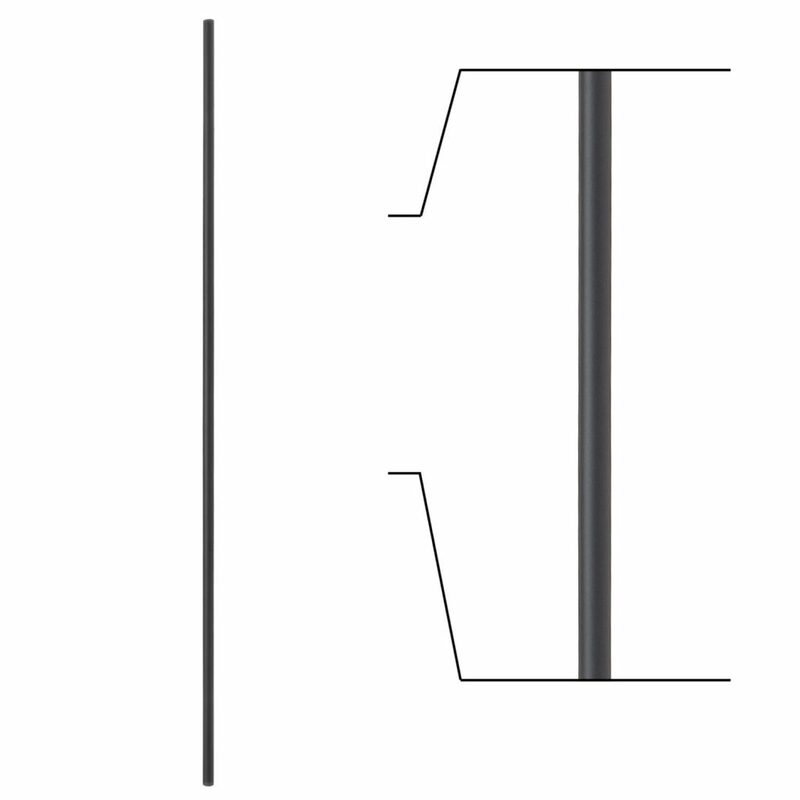 The 16.8.1 is the plain straight 5/8″ round baluster in our spheres series. It only comes in hollow, and is available in Satin Black & Ash Grey. Because of the round design the balusters don’t require shoes since you can drill a 5/8″ diameter hole. Simply cut to length and install with epoxy. All of our Wrought Iron Balusters are intended for interior use. Is the metal actually iron or is it painted steel? Our Wrought Iron Balusters are powder coated iron. If you have any additional questions, please give our team a call at 1 (866) 226-6536.